It looks like a man being punished or tortured. 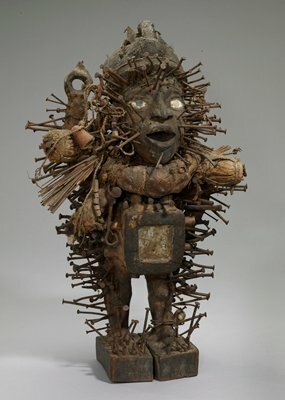 But to its Kongo makers and users, this figure was a container, empowered by a ritual specialist to house a specific spirit. The figure was consulted like a traditional chief to settle disputes and arrive at binding decisions. 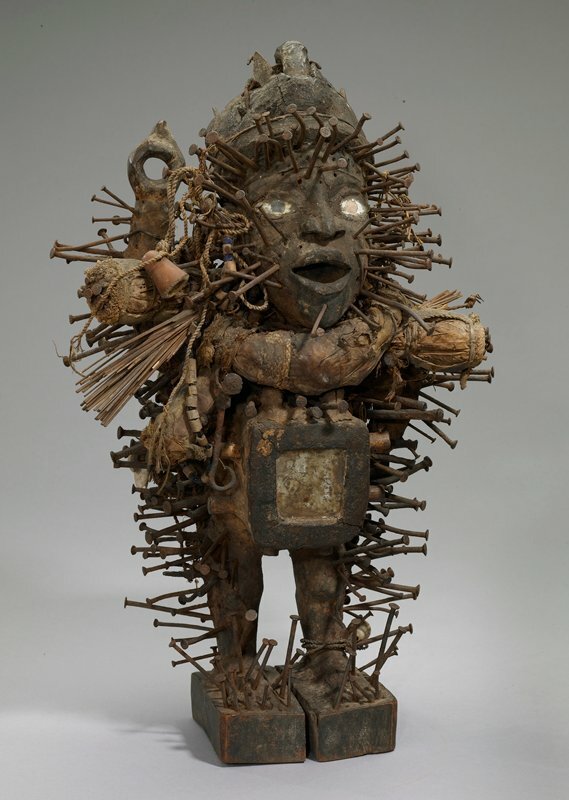 Each nail and blade, driven in to energize its powers, represents an issue resolved by its ritual authority. Are you a magical thinker?